A motto of ‘never take anything for granted’ means that the IVC Group works hard to make sure that it improves technology, product, manufacturing and service at every opportunity. In collaboration with its customers, cooperators and suppliers, the IVC Group aims to become the benchmark for residential and commercial vinyl sheet and modular floor coverings. Founded in Belgium in 1997, ITEC flooring’s strapline is ‘never take anything for granted’. 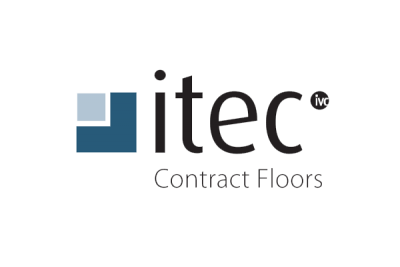 With an extensive worldwide reach ITEC is the EU’s largest heterogeneous vinyl flooring manufacturer, working in both residential and commercial sectors. Avenue, Moduleo and Leoline collections provide vinyl products for the home environment. With hundreds of designs available to suit traditionalists to those with modern, urban and design-lead lifestyles. At our Wakefield Flooring shop the range is extensive, with a design to suit every interior. Concept Ultimate and Concept Décor create stylish, durable and easy clean solutions for commercial purposes. R10 Slip resistant , with Hyperguard+PUR surface technology for scuff protection and easy care, Itec is a single source for all Educational flooring purposes for example, providing acoustic, decorative and safety flooring which complement and work sympathetically in an overall design scheme. Adaptable to healthcare and other public space environments Concept offers a range of 74 contemporary designs.